Have you ever felt like you were alone in the struggle to get your kids to eat healthier options? You don't have to feel that way at all. We are all in the same boat every day. I really love hearing from other moms about what works for them and their kids. Following is a dialogue with three whole food bloggers (including Adrienne from this site) who are facing the same struggle, and each has a unique story of her own. Mom #1: Sarah is a mom of two. 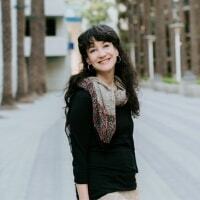 She writes at Simple Life Abundant Life. 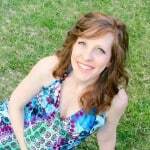 Mom #2: Kerri is a mom of three boys: She blogs at Whole Journey Mama. I sent each mom 10 questions to know more about how they get their kids to eat whole foods. Following are their answers. I hope they are helpful to you. 1) How long have you been eating whole foods? Was it before or after you had kids? 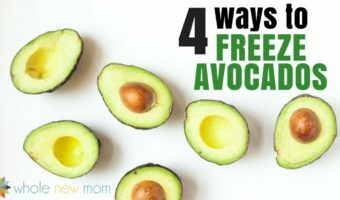 Sarah: I started my whole foods journey about four years ago, although after the birth of my first son, I really started intensively cutting out processed foods. Kerri: I have been eating whole foods for about 5-6 years. It happened before I had kids, however I became more and more natural the more kids I had. Adrienne: Our journey to whole foods was gradual. It started when my oldest was diagnosed with life-threatening food allergies and we weren't making much money. I had to cook everything from scratch. The rest is history. Well, maybe it really started before I was married. I started eating whole grain bread and some healthy chili in a can. (how healthy is that :)?) In college I was still pretty whole foods, but I ate enough sugar that I think that cancelled out any of the healthy stuff I was eating :). 2) What are your kids favorite whole food snacks? Sarah: For snacks, my kids love all things fruit, soaked nuts, plain yogurt, and sourdough bread toasted with butter. Kerri: My kids love fruits and veggies, even raw broccoli! They also love gluten-free crackers with raw cheese or Greek yogurt with fruit. Annie's bunnies are a quick snack if I can not make anything. 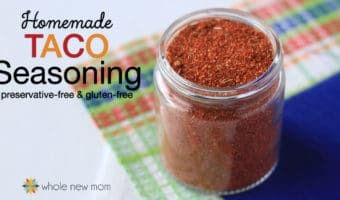 Adrienne: My boys love homemade coconut candies (recipe to come), Homemade Nut and Seed Butters, Homemade Almond Joy, Dorito Popcorn and Special Seasoning Popcorn, and dried fruit (but I don't let them have too much of that). My Bean Fudge , whole grain organic corn tortillas with goat cheese, and my youngest loves bananas with Homemade Almond Butter and blueberries. My oldest – pretty much whatever I make :). He's easy. 3) What are your kids favorite whole food meals? Sarah: For meals, my boys eat pretty much anything they are given, although homemade pizza night is usually a favorite as well as chili. For breakfast they enjoy sourdough or gluten free pancakes with real maple syrup, scrambled eggs with spinach and garlic, or sweet potato hash with fried eggs. Kerri: We have many, however I must say that they love smoothies! They also really love oatmeal so we make up different combinations all the time. They also love eggs any way. They are huge fans of quesadillas with raw cheese, guacamole, chicken nuggets. I try to focus on lots of color and something raw at each meal for them. Adrienne: My Pakistani Kima, Easy Baked Chicken Nuggets, homemade gluten-free pizza. Oh, and our Homemade Savory Hummus and Pizza Hummus. My youngest loves peas, rice and eggs in a pan. My oldest loves rice and beans with our 5-Ingredient Dressing and nutritional yeast. I told you he's easy :). 4) What are some foods that you “relax” on and let your kids enjoy that aren't the healthiest? Sarah: When the kids are at church, I let them eat the snacks that the other children in their Sunday School classes are eating – mainly goldfish crackers. Kerri: My kids love Nutella. I let them have that with apples, pancakes, or on toast. Also, I pretty much relax if they go to a birthday party or on their birthday/special event. Adrienne: Potato chips at a potluck. You wouldn't believe the mountains they end up with on their plates :). 5) How to you get your kids to eat more vegetables? Sarah: I put vegetables into as many dishes as possible and I just present it on their plate at each meal. We try not to force the issue and usually they just eat them up. Occasionally they will pass on a vegetable for a week or two, but I keep serving it to them and eventually they start eating it again. We try not to make eating a power struggle. We talk about how each veggie nourishes our body. 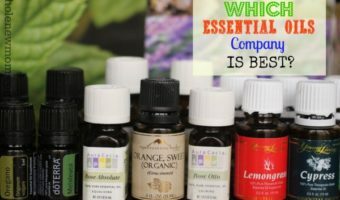 Kerri: My kids really do not have a hard time with this. I am very fortunate. They love all kinds, and if they do not like a certain vegetable, I always offer it and they have to try three bits. They used to hate asparagus and now they love it because I did this. Adrienne: When it's summer, they eat a ton of kale chips. My youngest will eat veggies with any kind of dip but my oldest will eat them if they're smothered. Again, with a Homemade Dressing and nutritional yeast. 6) How does your extended family feel about whole foods? Sarah: My whole extended family makes efforts to eat a whole food diet, although everyone is on a different part of their journey. Kerri: Half of them don't care about them at all and half of them do. We have a pretty good mix. I try and just teach by example. Adrienne: Mostly we don't get any support, but we aren't around them that much so it isn't that much of a problem. It's still hard, though. We've had some conflicts over it but most conflicts have been over the special diets we have been on; gluten-free, gut-healing, etc. 7) What are your biggest struggles as a mom trying to feed your kids whole foods? 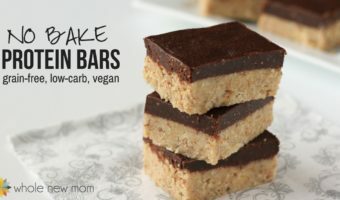 Sarah: My kids are starting to notice that they eat differently from their same-aged peers and it's hard to explain to them why we don't do all the conventional, sugary snacks that their friends get. It's also hard to find time to make everything from scratch and really requires me to be better at time management. Kerri: Time. Finding the time to prepare it all and finding the time to seek out resources to kind good whole foods. I love being in the kitchen, but I really despise the clean up. LOL! So just really finding time to balance the time I spend doing it all. Adrienne: Mess. Time. Mess. Money. Mess. Did I say “mess”? I am always feeling so bad about how my kitchen looks. Trying to come to terms with it with my husband's encouragement. 8) How do you handle treats? Sarah: We follow the 80/20 rule. As long as they are getting mainly nutritious food into their bodies, I don't stress the occasional treat they get at Sunday School or at play dates. Kerri: My kids can have them on occasion. I know 90% of the time they are eating well, so I don't mind treating them once in a while. Adrienne: It really depends on the day and the treat. Right now we are on more restricted diets so we need to be more careful, but for now I allow some treats at Costco samples, for example, as long as they are gluten-free. We are pretty rigid about that now since I have been learning more and more about how bad gluten is for you. 9) If your kids go to school what do you do for their lunches? Sarah: My children are still to young for school and we will most likely homeschool. If they did go to school I would pack them lunches. Kerri: Usually a sandwich of some sort on GF bread, or eggs with cheese, or a cheesy rollup, fruit, veggies homemade chicken nuggets or pizza (they will eat them cold) or GF crackers/cheese with veggies and kefir juice or raw milk. My kids only go to school 3 days a week and they do not eat hot lunch because they do not like it. Adrienne: We homeschool so this isn't an issue. But when we have to pack things for a trip or outing it can be tough. We take healthy hot dogs, or healthy candies. I have been resorting to Homemade Gummies a lot for a great protein source on the run. 10) What is your one tip for a mom just starting to make the switch to feeding her family whole foods? Sarah: Take it one step at a time. It can be overwhelming to learn about all the things wrong with our food system. Just make baby-steps. It's not practical to throw out everything in your pantry and start over. 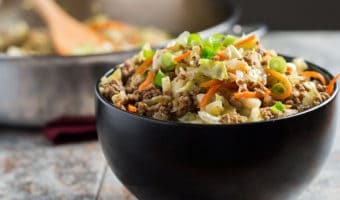 You have to give your taste buds time to adjust and you want your family to enjoy the journey and not be upset that all of a sudden all their favorite foods are gone. I recommend making one change at a time. Once that change has become common, then make another one. Slow and steady wins the race. Kerri: Start slow. Don't think you have to do it all at once because it's just too overwhelming. Pick a couple things a month you want to start doing or changing and add on from there. That is what I did. Make a meal plan and do meal prepping of you can. Adrienne: Keep perspective. Be glad for whatever change you can make right now. You can't do everything, but each step is one step in the right direction. Gluten-Free, Soy-Free, Dairy-Free and Egg-Free Recipes are included. Woot! Are you trying to get your kids to eat more whole foods? What are your tips? Angela Parker, SLP, CCC is head writer of GrassfedMama.com. She was born and raised in Louisiana, but moved to Richmond, Va recently for a new adventure. She has been married for almost 10 years to her high school sweetheart and has two little girls: Aidalyn and Annaleigh. She’s a speech therapist by trade, but decided to be a stay at home mom while her girls are little. Her passions include health, wellness, healing through nutrition, natural medicines, cooking with whole foods, and natural parenting. Check her out at Grassfed Mama. 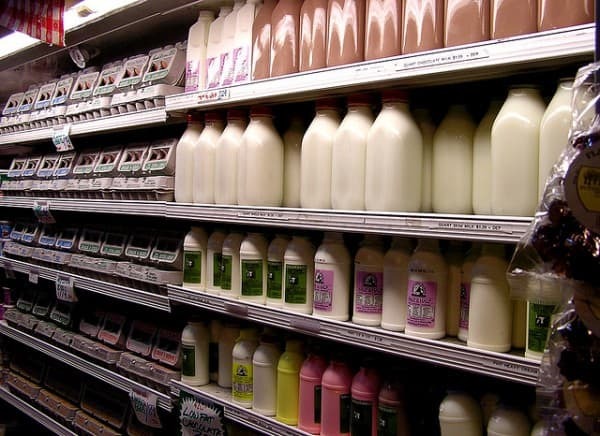 Nutrasweet in Milk–But Not On the Label? 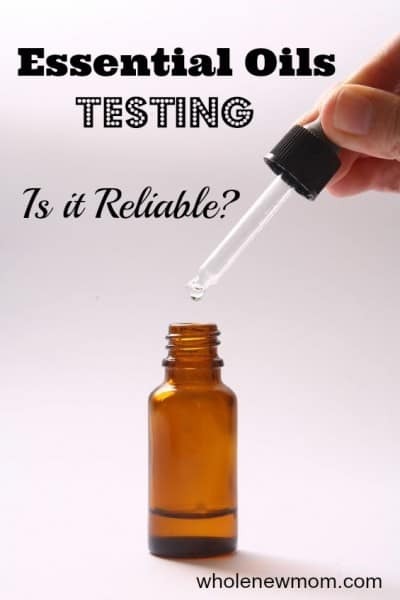 Essential Oils Testing — Is it Reliable? 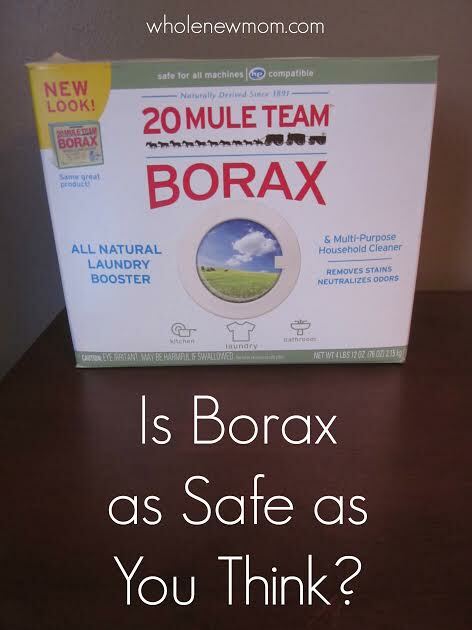 Borax. Is it as Safe as You Think? I started whole food before pregnancy and since my son started eating I have been very “strict”. Why introduce it , is my opinion. My partner and his mom/brother are all against me. They make comments about how he will be diabetic if I neglect him of sweets?? The grandma will give him something just to get to me. Fun, fun. I am completely alone on this journey and know I need to just let go. I have no control of others. But! I really don’t understand WHY it should be so hard. Just needed to vent. I love reading posts about the effects of foods on children to educate myself, and make me feel a little less insane in my way of life. Wow – it is hard. You are fighting the good fight! We have been talking about this in our home a lot recently–how we are literally killing ourselves and our kids feel so out of it when others are eating so much junk! Hang in there! Good post. Found you on homestead barn hop Mondays. I own that cookbook, it was my birth of my scratch chicken soup adventures 🙂 actually attended a class they hosted at an autism research institute retreat when my eldest was diagnosed. Thanks for this post. My five year old hardly will eat anything, healthy or otherwise. He even declines sweets some of the time.